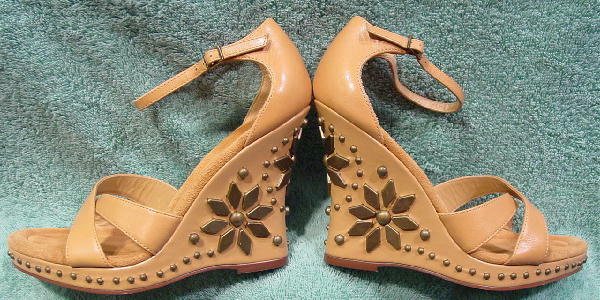 These adorable tan leather wedge heel sandals are by bebe. They have tan brushed cotton linings and ankle straps with brass-tone buckles. 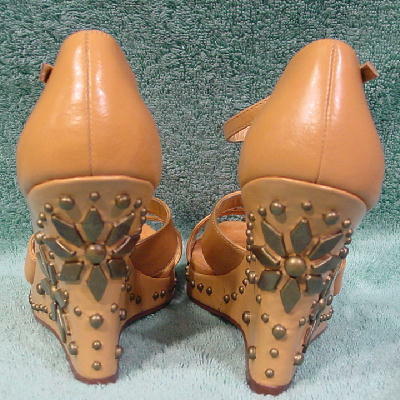 There are decorative brass-tone studs along the front and sides below the insoles and the wedge heels also have studs and geometric shaped elevated ornaments. She said she only wore them three times.